Marty Hickman has joined SOILL as Chief Operating Officer, based out of the Normal office. He is responsible for ensuring that the organization has the program-related operational controls, administrative and reporting procedure and staff in place to achieve the organizational goals. Hickman was previously Executive Director of Illinois High School Association, retiring in January 2016, after 25 years with the organization. Before joining the IHSA, he was principal at schools in Monmouth, Joy and Bluffs, and began his teaching/coaching career in Girard. 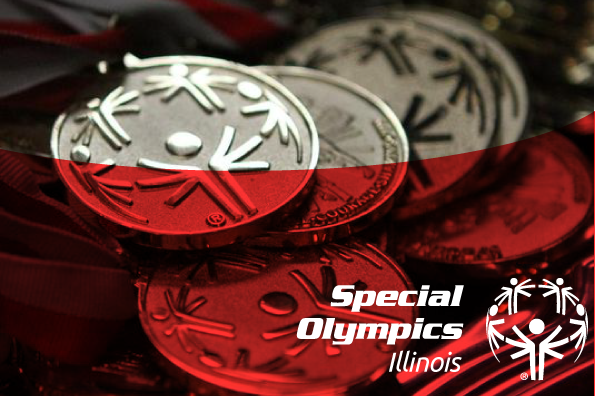 He was a Special Olympics Illinois Board member from 2005-2012. During his tenure with IHSA, Hickman was a board member of the National Federation of State High School Associations, National Association of Sports Officials and Council on Standards for International Educational Travel; was a board liaison with Illinois Association of School Administrators; was Strategic Planning Chair or Vice Chair for Kansas State High School Activities Association Strategic Plan, National Federation of State High School Associations Strategic Plan or NFHS National Presence Committee. He has a bachelor’s degree from Eastern Illinois University in Charleston, master’s degree in Educational Administration from University of Illinois in Springfield and doctorate in Education from University of Illinois in Champaign-Urbana. Normal office. She is responsible for front desk duties in the mornings and assisting other departments as needed. She has worked the majority of her career in the field of education in Indiana, serving as a note taker/tutor for college students with disabilities, substitute teacher, preschool teacher and paraprofessional working with children with disabilities. Lathrop attended Ivy Tech Community College in Lafayette, Ind., and Northwest Missouri State University in Maryville, Mo. Paige Passaro has joined SOILL as part-time customer service representative at the Normal office. She is responsible for the front desk duties in the afternoons and assisting other departments as needed. She has worked as a part-time administrative assistant at a real estate firm around her school schedule. She is currently pursuing a degree in business at Illinois State University, Normal. Passaro has volunteered at Spring Brook Elementary School Library Media Center in Naperville and St. John’s Breadline in Springfield. She is captain of ISU’s Women’s Ultimate Frisbee Club.